Visit us for any tips/ideas/know-hows for cleaning your space! 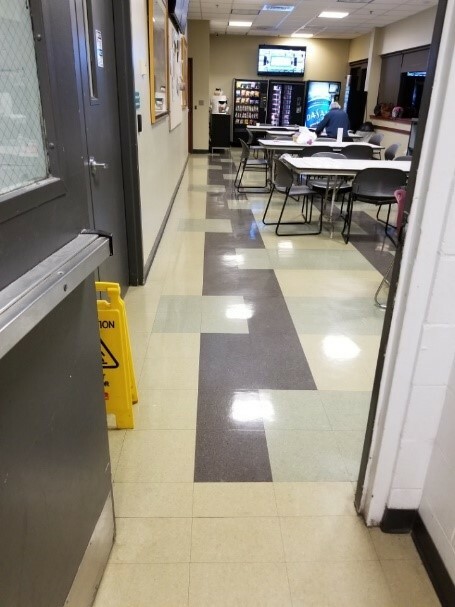 Floors with high foot traffic may require regularly scheduled burnishing service. 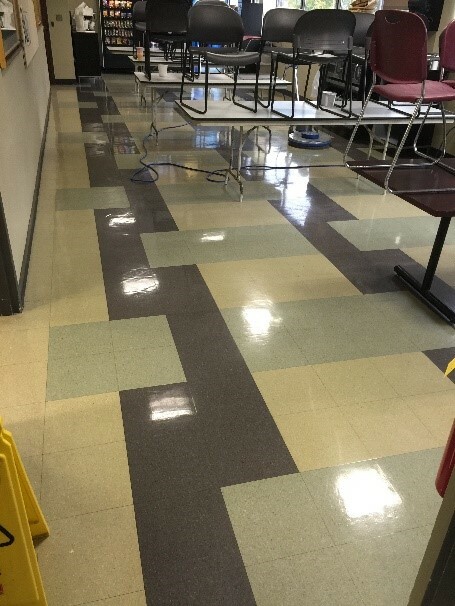 With a high level of usage, a floor will lose its shine and become dull in a short period of time. 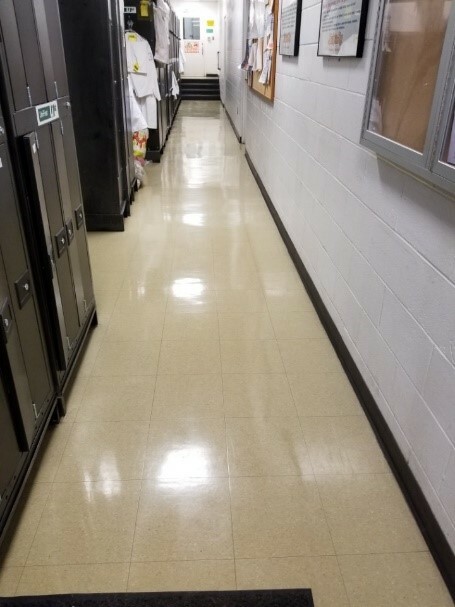 With regular burnishing, the shine will last longer and the floor will be easier to maintain/clean. SBMC took on a hardwood floor sanding and refinishing work recently at a local church. This project was satisfying for couple of reasons. Like any other hardwood floor refinishing job, the floor was in pretty bad shape. It had scratches and stains all over the place. The floor had not been properly maintained for a long time. Moreover, the project had a quick deadline. So, we had to get the job done quickly but properly. This is where it got challenging. The floor had oil-based finish. In order to save time, we decided to go with water-based polyurethane finish. Water-based polyurethane finish dries fast so it allows multiple coatings within a short of amount time. Another good thing about water-based polyurethane finish is it does not stink as much as oil-based polyurethane finish. There are different types of carpet cleaning. Right equipment and cleaning chemical are essential in performing carpet cleaning. Depending on the type and the condition of carpet/rug you and time given to complete the job, we choose from the following method: carpet encapsulation, carpet shampoo, carpet extraction, carpet bonnet cleaning. Note: Please make sure to use proper cleaning chemical. For example, you wouldn't want to use carpet shampoo when operating a carpet extractor. Too much foam will develop, which would mess up the carpet and the equipment. Carpet flooring and rugs can be seen in wide variety of settings including commercial properties, offices, religious institutions, and schools. Notice the difference in before and after pictures. Stains were heavy and stubborn before but after performing carpet encapsulation technique multiple times, stains are gone and carpet looks nice and clean.